Posted by Equestrian Australia on 13/04/2015. Amy Graham's incredible Parisian weekend ! 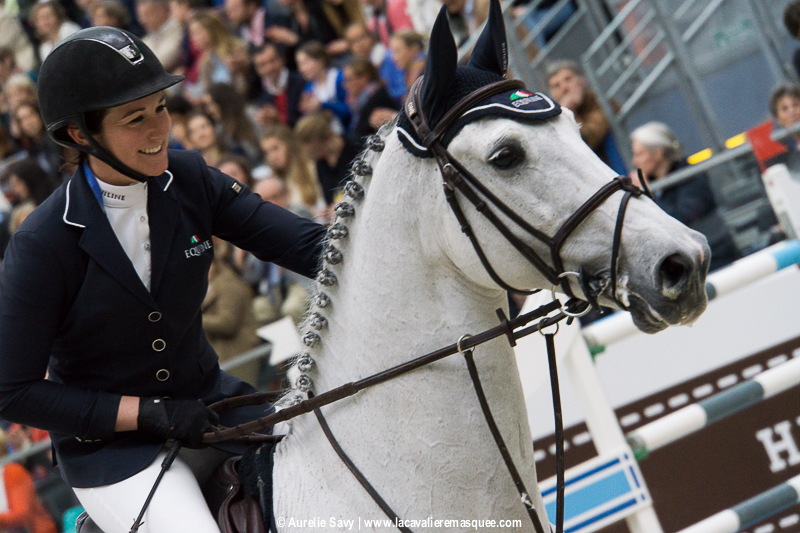 Australia’s Amy Graham delivered outstanding performances over the weekend at the Grand Palais CSI5* (Paris), taking home an impressive second in the Grand Prix Hermès and first in teams event with her French Partner Julien Epaillard. Graham riding Bella Baloubet (Baloubet D.Ro x Landadel), proved all class under the big atmosphere with a double clear to finish on 40.31 just behind Romain Duguet (SUI) who finished on 38.99. 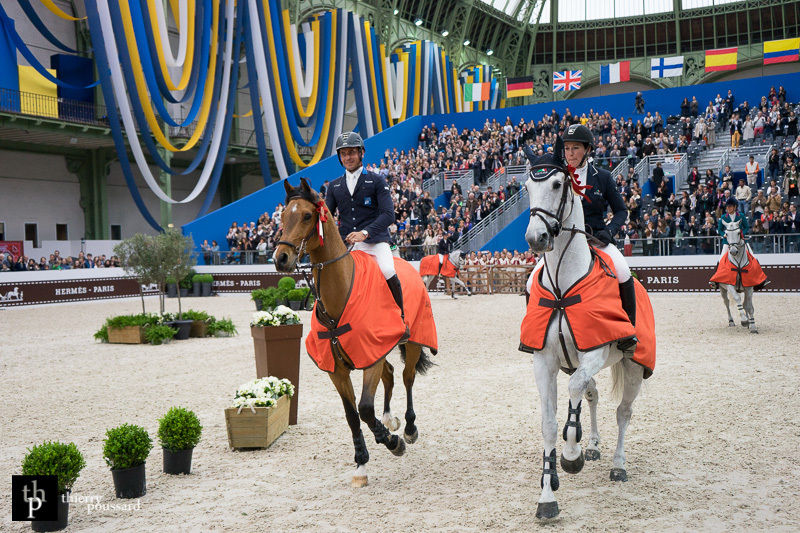 She was in good company, with fellow Australian Edwina Tops-Alexander providing the Parisian crowds with a spectacular first clear round on Lintea Tequila. Seasoned professional Tops-Alexander was unlucky to have one rail down in the jump off, to finish in seventh place on 40.92 penalities. 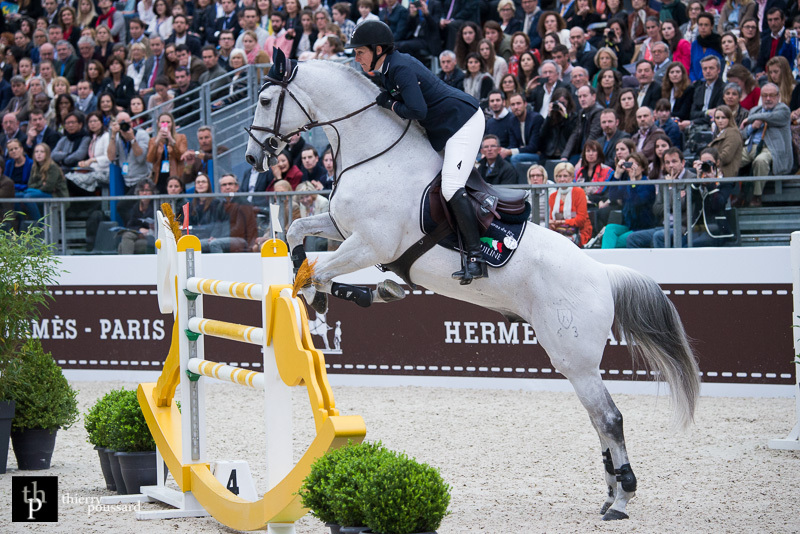 Saturday’s team competition at CSI5* Saut Hermès, kick started Graham’s weekend in style when she teamed up with French rider Julien Epaillard to record the fastest team score ahead of Luciana Diniz (POR) / Ludger Beerbaum (GER) and Katharina Offel (UKR) / Daniel Bluman (COL). The competition pitted ten couples of mixed five star riders who qualified through to Friday’s big class, lining up to jump two rounds over a 1 meter 60 course that proved to be quite delicate in round one as plenty of the riders had rails down. In round two, Graham and Epaillard could not afford any mistakes after a few clear rounds were posted and timing was tight. The young Australian rider produced a sizzling fast round on her impressive grey stallion Bella Baloubet and the two times added together put the couple on 76.12. Luciana Diniz and Ludger Beerbaum had the advantage to be last to go, but didn’t manage to catch up on this time (76.62). “I know Bella Baloubet very well, he was fantastic tonight because less impressed. The fences were not so colourful compared to yesterday with the cloudy sky this afternoon in Paris. I just need to trust him and stay in my own place and everything is OK for him. We were the first team with a clear round and we really wanted to start the second part with a blank score. I did really good in the second round but Bella, really gained in maturity! Riding with Julien (Epaillard) was a fantastic experience.” says Amy.